Emirates will once again begin operations with its flagship A380 service between Houston (IAH) and Dubai (DXB) from June 1, 2018. 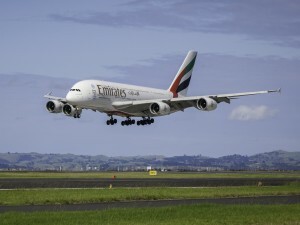 Houston will join more than 40 destinations on Emirates’ extensive global network served by its popular A380 aircraft, including Mumbai, Kuala Lumpur, Singapore and Kuwait. Emirates will deploy its three-class A380 on the Houston route, offering a total of 516 seats with 14 private suites in First Class, 76 flatbed seats in Business Class seats and 426 spacious seats in Economy Class, increasing capacity per flight by more than 160 passengers compared to the current Boeing 777-300ER. Services to Houston were upgraded to an A380 in December 2014, but as part of Emirates’ fleet optimisation, the decision was made in July 2016 to operate the route with a Boeing 777-300ER. Flight EK211 will depart Dubai at 09:35 and arrive in Houston at 16:50 daily. 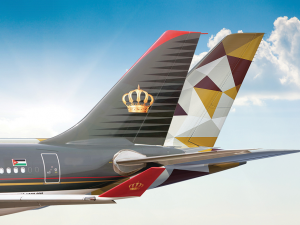 Return flight EK212 will depart Houston at 20:00 and arrive in Dubai at 20:00 the next day. 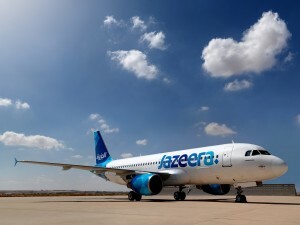 Passengers from Houston can enjoy convenient connections in Dubai when travelling to destinations in India, Pakistan, Saudi Arabia, Bahrain, Kuwait, Thailand, Malaysia, Singapore or South Africa. 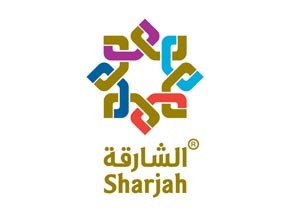 India has emerged as the fourth largest market for global visitors to Sharjah, according to the figures revealed by the Sharjah Commerce and Tourism Development Authority (SCTDA). 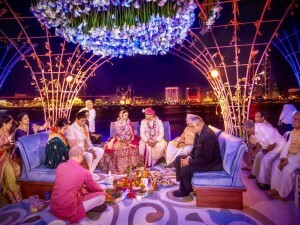 The Authority led a marketing campaign targeting India’s outbound tourism over the past few years, attending key travel events and visiting cities across the country. 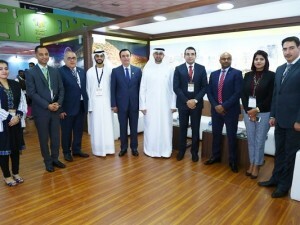 In a first, the SCTDA led a delegation of Sharjah-based tourism and hospitality organisations to the 23rd edition of the SATTE travel trade show, in New Delhi, India. Sharjah’s delegation to SATTE and India International Travel Mart in Mumbai included Ramada Sharjah, Golden Tulip Sharjah, Sheraton Sharjah Beach Resort & Spa, Sharjah National Hotels, Air Arabia, SATA (Sharjah Airport Travel Agency), Cozmo Travels and Auras Tours. According to the Indian Ministry of Tourism, 18.33 million Indians travelled overseas during 2014 and the World Tourism Organisation (UNWTO) expects that Indian outbound travel could grow to 50 million by the year 2020.